And whether the counting and reconciling of inventory for raw materials or components versus finished goods is done manually on paper, on spreadsheets, or by using connected software platforms and scanners, the calculations are straightforward. Materials in, a calculated Bill of Materials and waste as a guide, and finished goods out should produce a correct starting and ending inventory. Regardless the size and complexity of a manufacturer’s raw and finished goods, where many factories struggle is with the taking and accounting of WIP inventory. WIP, or “Work in Progress” is a part of a company’s overall inventory that has begin being processed but is not yet finished. As raw materials and components are consumed, they gain value because they have incurred some labour and overhead. And each subsequent sub-process throughout the factory adds additional value. And while both raw materials and finished goods can be values at their actual cost, WIP calculations for accounting purposes must include the additional value added to be accurate. As materials move from the warehouse to the production floor, labor is accrued at every move. This may include fork lift operators as well as line operators, stagers, and finish labor. It will also include the labor required to transport and store the finished goods in the finished goods warehouse or dock. All direct and indirect costs must be added to the WIP to ensure accurate valuation. This requires an accurate Bill of Materials (BOM) that apply each line of direct and indirect costs in the right proportion and against the produced volume. If the BOMs are correct for all WIP within a factory, the estimated number may be considered a close enough estimate for accounting. It is also possible to do a manual WIP count but the process is often labor intensive and therefore expensive and reserved for yearend inventory valuations. Usually, a company takes a WIP count at an established accounting period. This may be monthly, quarterly or yearly. The ending WIP count for the end of one period becomes the beginning WIP inventory for the next and again the raw materials and BOMs used should match the number of finished units completed. The frequency and method of WIP count may also depend on the type of manufacturer. Private companies have fewer reporting requirements but must value certain things correctly for taxation purposes depending on the locality or country. On the other hand, public companies often have stricter and more detailed reporting guidelines in addition to taxation reporting. Regardless the type of company, all companies must produce the most accurate WIP count possible because for taxation purposes, WIP is considered a current asset. Current assets are any items that could be converted into cash in less than a year, which includes WIP. Current assets are then listed with all other assets on the “Operating Activities” part of the cash flow statement. The value should only include raw materials, overhead and direct labor spent so far. Projected costs for finishing the goods are not included as they will be listed under the “Expense” line of the next cash flow statement. Once the WIP is calculated, valued and listed in the Operating Activities line of the cash flow statement as a Current Asset, the WIP is now considered an asset within the company. All companies are intensely focused on their cash flow statement and overall financial health. But while larger companies can absorb a few more errors due to scale and averaging, small to medium sized companies often have little to no room for error. There are three important reasons why accurate WIP accounting is a must. Taxation – No one wants to be audited by their country’s tax service for inaccurate taxes. As a current asset, WIP is a taxable entity and underestimating or inaccurate accounting can result in hefty fines. The opposite is also a danger as overestimating can make manufacturers responsible for higher taxes when they aren’t required. Cash Flow and Financing – Many companies use short-term financing, including WIP Inventory Financing, to address short term cash flow issues. Requirements for this type of financing always includes accurate WIP accounting and valuation and an incorrect valuation may lead to discontinuation of short-term financing agreement. Accurate values are also used when assessing a company’s health for a longer-term loan as well. Production Impact – Inaccurate WIP accounting can also lead to production errors. By overvaluing or undervaluing one segment of WIP, upstream processes may be triggered to make up a perceived loss or idled to allow a perceived overage to deplete. If the WIP calculation and valuation was wrong, the factory may become out of balance, impacting delivery schedules and leading to negative financial misfortunes from the reduction of future sales. Inaccurate accounting can also send the wrong demand signal to raw materials purchasing who will then over order materials and tie up cash flow with overstock, or in underordering which drives up costs through equipment stoppage or through expediting of freight to bring in the required material once the error is discovered. Accurate WIP is an important part of any company’s total inventory. And keeping that inventory accurate is important for large and small factories. And while manual counting and reconciliation or spreadsheet-based inventory keeping may have started as a necessity for small to medium companies, as growth and scale are realized, these methods can become impractical and error-prone quickly. 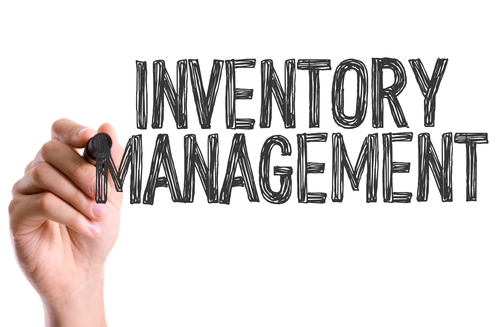 The most effective solution for overall inventory management is software. 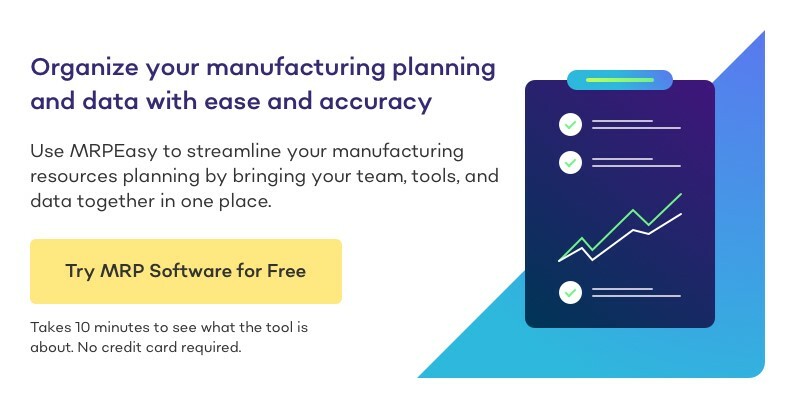 Using an appropriately sized and customizable platform, factories can deploy MRP or ERP solution that fits small to medium sized companies with the same capabilities – and accuracies – found in large manufacturers of scale. These platforms allow not only accurate inventory accounting but also include labor planning and tracking, shop floor scheduling, Bill of Materials listings and where used query capability to tie all the production in a factory together. Even if a company has a small WIP footprint, and a short production cycle, manual and spreadsheet-based programs become unwieldy as a company grows. Human beings are prone to make mistakes, and mistakes in raw materials inventory (which may also be manual), or mistakes in BOM calculations will multiply the errors in WIP as the error echoes through the system. Most platforms integrate with modern RF scanning to ensure not only accurate counting and valuation, but also to allow tracking so that inventory does not move from raw material to WIP too soon and so that WIP can be listed as a finished good in real time and not unnecessarily tie up asset value in WIP. 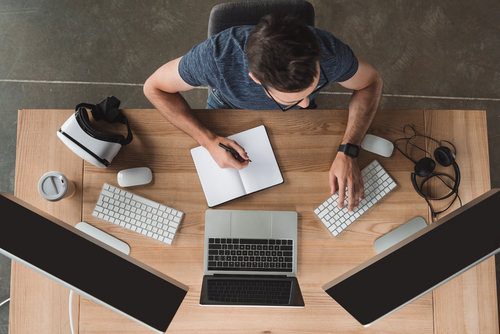 As an asset, inventory aided by software will help to properly value WIP as an asset reducing the chances of taxation dilemmas or cash flow issues. 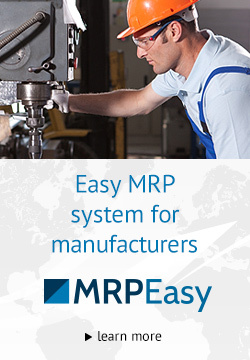 And as the software is tied into the MRP/ERP system. As supply chains and manufacturing become more complex with the increase in globalization, factories are tasked with honing production and inventory accuracy across their enterprise to stay competitive. It no longer makes sense for small to medium companies to remain stuck in a manual, spreadsheet world. Modern platforms not only allow tracking, accurate data and analysis, increased agility and a high degree of customization. They also are on par in capabilities and functionality with larger MRP/ERP programs that can ties inventory, production and finance together and prevent small and medium companies from finding themselves one bad WIP valuation away from disaster.